Former inmate Talib Akbar reported witnessing physical abuse of another prisoner to the Waupun warden, alleging the guard, Joseph Beahm, “has a habit of this kind of abuse.” Photo: Kate Golden/WCIJ. 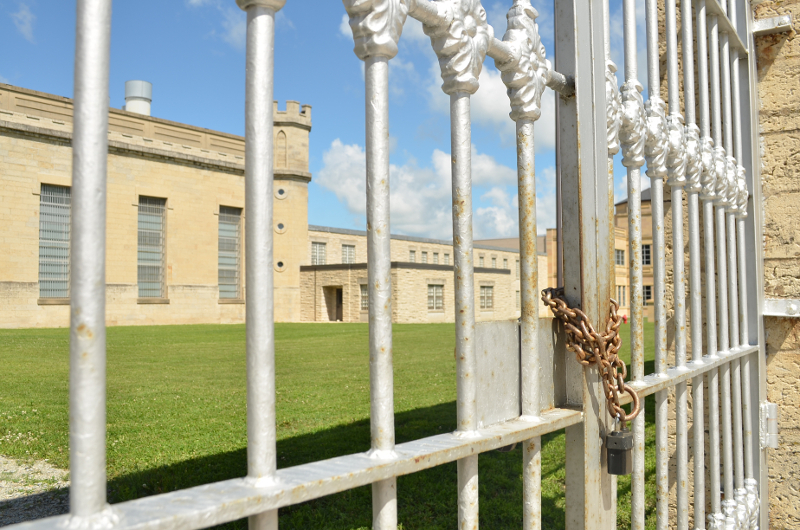 A new report from the Wisconsin Center for Investigative Journalism raises concerns about guards abusing prisoners in the segregation unit at Waupun Correctional Institution, the state's oldest prison. The report by Bill Lueders documents 40 incidents of alleged psychological or physical abuse committed by guards who patrol the segregation unit, where inmates who have violated prison rules often end up. Some inmates allege that they received beatings from guards while handcuffed behind their back and wearing ankle shackles. Since 2011, inmates have filed 15 lawsuits against the guards, some of which are still pending. University of Wisconsin law professor Walter Dickey ran the prison system in the 1980s. He said the large number of complaints warrants further investigation. The report quotes emails from officials at the Department of Corrections that say no guards have been disciplined for any of the incidents. The email said that in almost all cases, the allegations have been fabricated or exaggerated by inmates. Two-thirds of the inmate complaints involve one guard — Joseph Beahm, who has worked for the past nine years in the segregation unit at Waupun. Peg Swan, a former nurse who has visited or written to some of the inmates who have alleged abuse, said she's been trying for more than a year to convince prison authorities to address the problem. Waupun Correctional Institution is the state's oldest prison. Photo: Laura Fuhrmann. Swan said part of the problem, in her view, is that there aren't cameras to record the incidents in some of the cells and hallways where the alleged abuse happened. This summer, the DOC is piloting a program at Waupun requiring guards to wear cameras on their chests to solve that problem. An email from the DOC said the guards themselves asked for the cameras to help them document what they called a high number of false accusations from inmates. Former DOC Secretary Walter Dickey said another approach is to make sure guards don't work too long in segregation units. The guards’ union resisted Dickey's efforts to do that when he tried it in the 1980s. Inmate advocate Peg Swan said training guards at the Boscobel prison has led to fewer inmate abuse complaints. Those changes are the result of a lawsuit brought by prisoners in the year 2000. DOC Secretary Ed Wall says plans are in the works to make comprehensive changes in the operation of segregation units in all the state's prisons. So far, he has released no details of what those changes will be. Editor’s Note: Department of Corrections Secretary Ed Wall declined to be interviewed for this story.